The ProsI was issued this light over ten years ago. 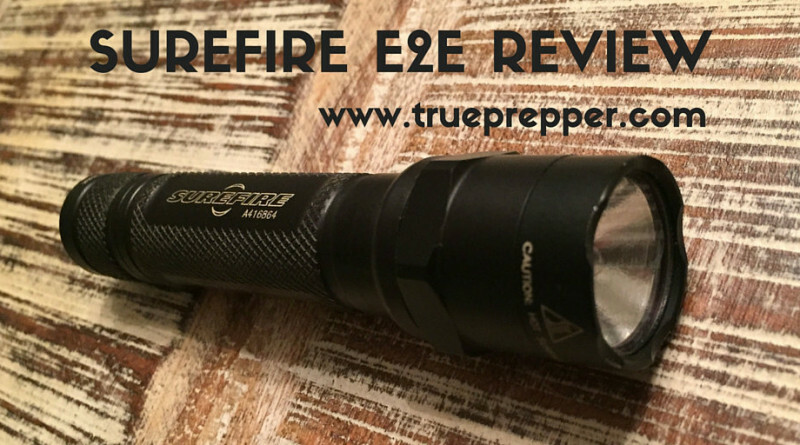 A few days after I received the Surefire Executive Elite E2E flashlight, I responded to a T-6 Texan crash. The pilot and instructor ejected and were in good health, despite some sore backs from the ejection. I thought the light was much to small to be of any help in the aircraft recovery process. I was wrong. This little light is bright and durable. I have dropped it, ran over it with the ATV several times, submerged it, and it keeps working. It is slightly versatile, coming with a clip and easy to press button. The knurled aluminum makes it pretty hard to lose grip of, but tough if you hold it in your mouth. 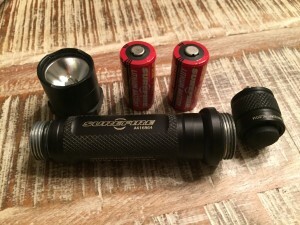 The Surefire flashlight is nearly indestructible, even ten years later. The battery does not last long. It does not flicker, it just ceases to turn on when the juice runs out. Also, the lens would get extremely hot- hot enough to burn you if your are not careful. The few issues I have with the flashlight seems to be fixed with the newer models. 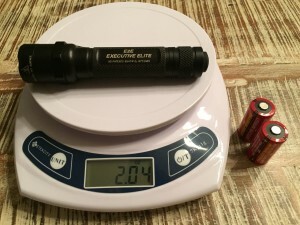 The newer Surefire flashlights have more battery life and are LED, but still use the same lithium Surefire batteries. It would be nice if the batteries were more generic and easier to find- especially in a SHTF scenario. While we will not particularly suggest this model of Surefire flashlight, the newer Surefire flashlight models are sure to impress. We plan on picking one up soon and giving you the rundown if you can expect the same quality we have found in the Executive Elite model over ten years old and still going strong.